Platform Truck Bodies For Sale | T.P. Trailers, Inc.
At T.P. Truck Equipment, we strive to provide the best truck bodies for your needs. Our steel platform bodies range from medium to super duty and can have steel or wooden floors. We also carry multiple styles of aluminum platform bodies. Looking for a little extra? Select from options such as adding a dumping hoist, drop sides, stake sides and cab guards. Call today to find your next platform body! 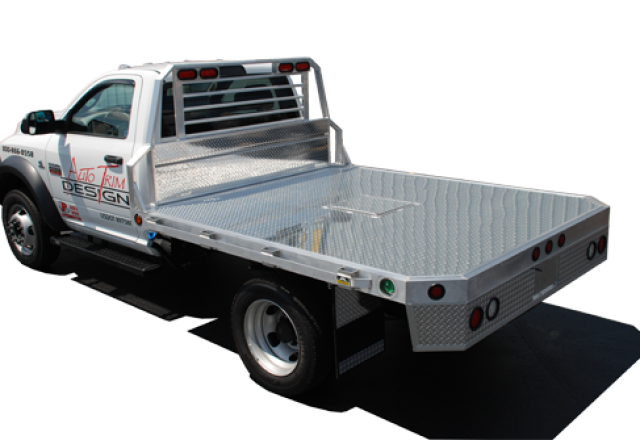 SH Truck Bodies platform truck bodies are perfect for any hauling needs and fit most trucks. These steel bodies range from medium duty to super duty and can have either full steel floors or treated pine floors. Options such as gooseneck access doors, stake sides, drop light aprons, cab shields, and drop sides on smaller models are all available. 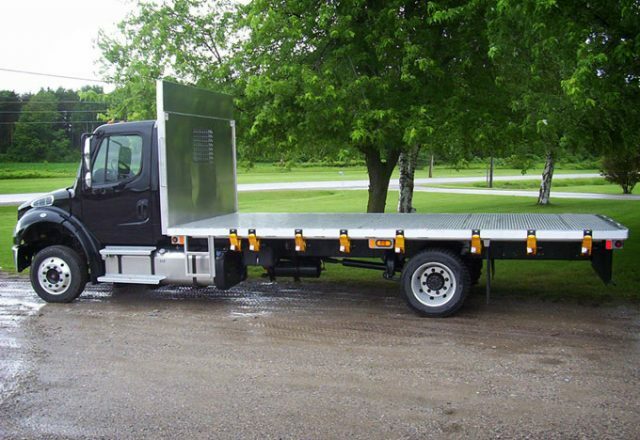 If you want great quality and durability for the heaviest hauling jobs, SH Truck Bodies has the body for you! There’s not another manufacturer quite like Voth. Their platform bodies are custom fabricated and come in steel or aluminum. Their steel bodies have the option of a steel or wooden floor and are coated with a sandblasted/epoxy primer/polyurethane paint that gives you a quality finish that lasts. Other features include bodies that range up to 26’ and can be installed with fold out step ladders, tarp kits, fold down sides and even more! Call today and make your next platform body a Voth! 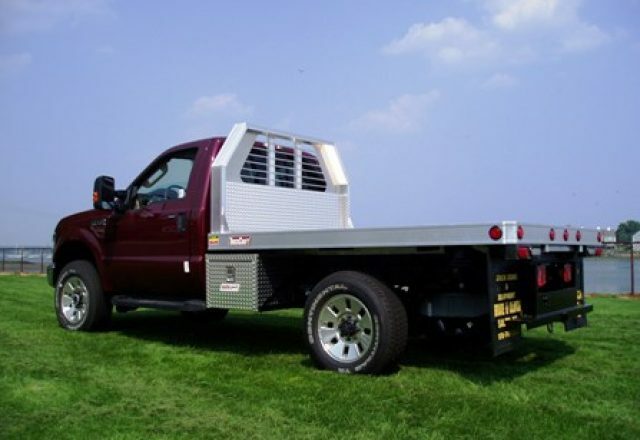 TruckCraft aluminum platform bodies make your truck work harder! Get more done with a new body from TruckCraft that is manufactured from low-maintenance aluminum and has multiple features such as dumping flats, drop sides, stake sides, and every body comes standard with LED lights and cab guard. With models from 7’ 11” up to 20’ 0” and medium and heavy duty models, find the TruckCraft body that works for you! Aluma is the place to be for a long lasting low maintenance aluminum platform body! 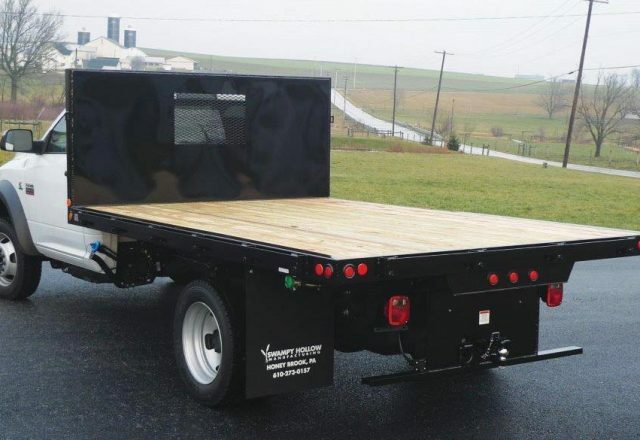 All bodies come standard with drop rear skirts and are equipped with license plate lights, recessed sealed beam lights, rub rails and headache racks with sealed beam lights. Upgrade even further with a gooseneck hitch opening with a removable door or sides and a tailgate. Stop by today to find the Aluma body for your truck! Brute platform bodies are built to bring strength and ease to hauling equipment on the job site. Standard features include rub rails with stakes pockets, prewired LED lights, tailboards and headboards. Models range from 7’ – 11’ and have upgrades such as 12” on center I beams, rear rub rails with stake pockets, gooseneck traps doors and toolbox packages. Get the platform body that will work for you and impress you with its durability! Call today for a new Brute body! Click Here to Check Out Our Dump Hoists!